The Hero singer shares five-year-old twins Monroe and Moroccan with estranged husband Nick Cannon. The children enjoy the benefits of their parents' jet-setting, celebrity lifestyles, but Mariah insists if the kids decided they wanted different lives, she would change everything for them in an instant. "I want them to still feel normal," Carey tells Clash magazine. "So, if they don't like traveling around at some point, they won't have to travel around, but they love traveling. They love flying. If I keep them home for like, five days, they're like, 'When are we going on an airplane?'" The 47-year-old and Nick are currently in the middle of a divorce, but the former couple has remained close, reuniting to take the twins out for special occasions. Last year (15), the singer revealed she was heartbroken following the split, but insisted it was important to her to shield her children from her sadness in a bid to maintain their innocence. 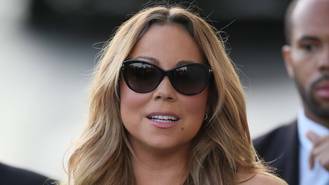 Mariah has since found happiness again and is now engaged to billionaire James Packer, who the singer has praised as a great man and a "fantastic father to his own children".